Mesut Ozil send a message to Arsenal fans on social media following the 1-0 victory over Cardiff City on Tuesday. 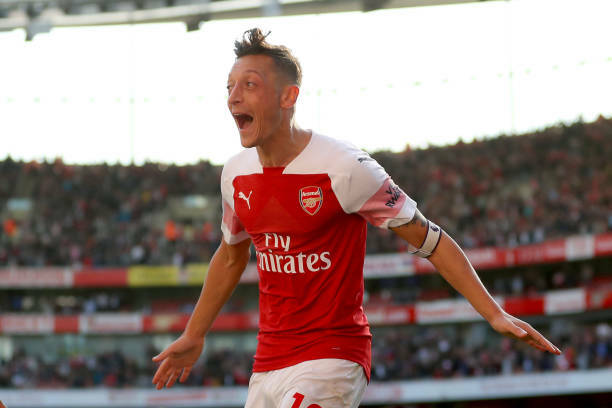 Ozil started his first game of 2019 against the Welsh giants putting on an impressive display in the process. The Gunners ace has struggled with knee and back injuries but head coach Unai Emery did not play him when fit either citing ‘tactical reasons’. It does however, look like Ozil has been brought back into the fold and he thanked Arsenal fans on his official Instagram account for backing him. The photograph he used makes interesting use of the white light! The playmaker of Turkish origin is not renowned for his defensive ability but he completed the second highest number of tackles after Shkodran Mustafi. The 30-year-old also made the highest number of passes and created the most chances for the North London based outfit. Ozil has had his Arsenal future questioned over recent weeks after struggling for playing time. The North London based outfit take on Manchester City next in the Premier League on Sunday at the Etihad Stadium, Ozil is match fit for the game.